Francis Bellamy was born in Rome, New York, May 18, 1855. He died August 28, 1931. His original Pledge of Allegiance was first published in a magazine called Youth’s Companion, a nationally circulated publication written for young people. In 1888, Youth’s Companion began its campaign to sell American flags to public schools. 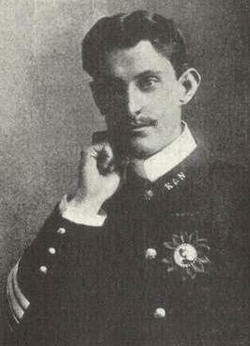 For Francis Bellamy, this was more than a mere money-maker: it was an opportunity for him to spread his particular brand of propaganda, and in the end Youth’s Companion became a supporter of the Schoolhouse Flag Project, which, under Bellamy’s watchful eye, aimed to place a flag above every public school in America. 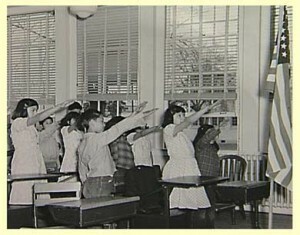 The Pledge was a propaganda prayer written by a man whose goal was to inculcate young minds with his dogma.